The Rainbow Laces campaign has found support from a team more used to riot gear than football gear. Rainbow laces were sent to all Premier League footballers, and every professional team in the UK as part of a campaign to raise awareness of homophobia in football by Stonewall, Paddy Power and the Gay Football Supporters’ Network. 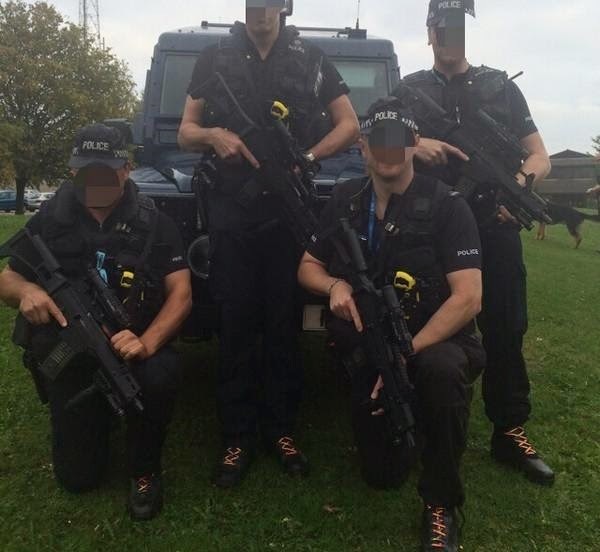 However, they have proved surprisingly popular with members of Leicestershire Police’s Tactical Dogs & Firearms Unit, who posted several photos to Twitter of armed officers backing the campaign. Aren't their rainbow laces just adorable? Fagburn's just catching up with the weekend's news, but doubts anything will 'top' this delightful story from Pink News on Saturday! 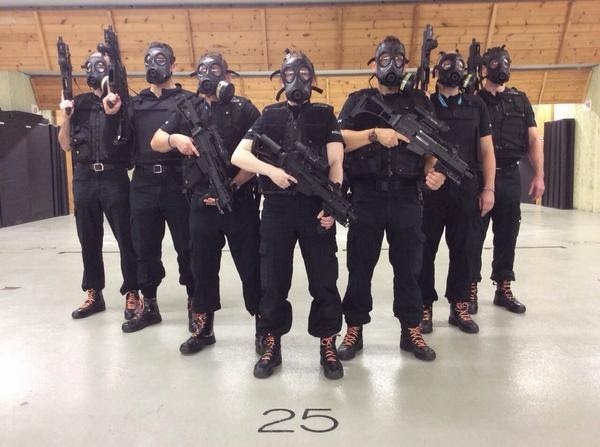 Now I don't know about you, but if I or anyone I knew and loved was 'accidentally' shot dead by one of these hot cop dudes I'd feel so much better about it knowing they were wearing rainbow laces. Perhaps, in but 30 years time, there will be a HEART-WARMING FEEL GOOD British film about when these coppers' hobnailled boots met some dainty gay laces. PS Only joking! It's not that likely the police would shoot me - I'm not black. Can we get some laces for that? • 'I Let Everyone Down': A blogger apologises for not posting in a while.